What changed for the 30-year-old pitcher from those Baltimore days? 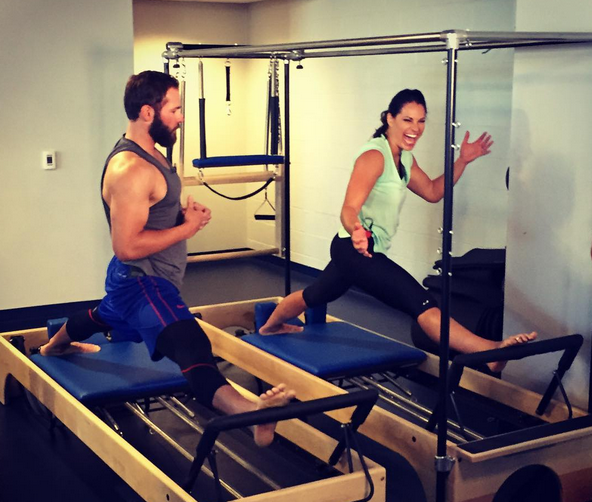 Chicago Cubs pitcher Jake Arrieta works out on a Pilates reformer with trainer Jessica Mendoza. Arrieta has said Pilates turned his career around. Many things. But, one of the biggest: Arrieta and his wife, Brittany, discovered Pilates. He signed up for three sessions a week. Then he turned his garage into a Pilates studio in the off-season. Edebor trained the couple six days a week, for 90 minutes each day. When he returned to the Cubs last season, he dragged a reformer into a crowded storage/media room and turned it into a small Pilates studio. 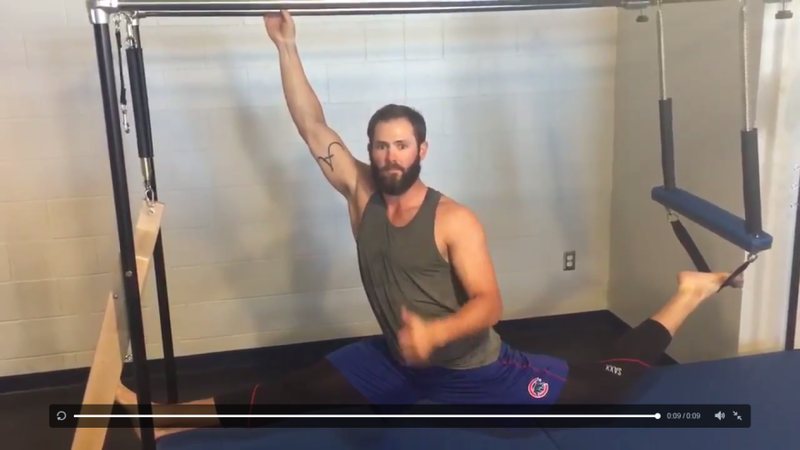 The Cubs must like what they are seeing in Arrieta — and Pilates. In the past off-season, SI says, they remodeled their exercise facilities into the second largest in baseball, including one room devoted to Pilates, with more reformers on the way. They call it the Arrieta Room! Since embracing Pilates, Arietta has thrown two no-hitters for the Cubs, most recently on April 21 against Cincinnati, and last August against Los Angeles. It isn’t just Pilates for the pitcher. Arrieta also stretches two hours a day; he practices yoga and meditation, too. His diet is strictly controlled. And the music in his headphones? He has switched from Heavy Metal to pump up the adrenaline to a more meditative sound to help with focus and control. Check out the Sports Illustrated story. It takes the writer Verducci a long time to get to the impact of Pilates on Arrieta’s life — but then, it took Arrieta a long time to discover Pilates. All in all, this is a wonderful testimonial to the creation of Joseph Pilates. As a Pilates instructor, I am so proud to be associated with this discipline and proud to see the way it affects my own clients. You don’t need to become a Cy Young Award winner to see how it can improve the quality of life! What I like about Arrieta’s transformation is that he has been able to adjust his life to stay a winner — incorporating yoga, meditation and even a change-up in music! As of today, the Cubs are in first place in their division with a dominating 15-5 record. Every year, for decades, loyal Cubs fans start out saying “this could be the year.” With the help of Pilates, this might just be the one!